Marvel Rising: Secret Warriors premieres tonight on Disney Channel. 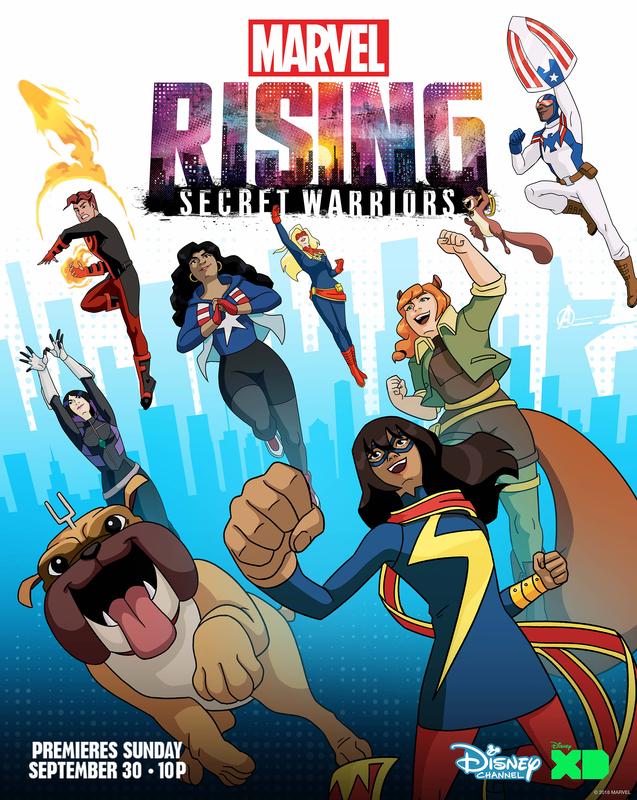 Tonight, Disney Channel will be premiering the animated feature Marvel Rising: Secret Warriors — a project featuring a group of diverse and young Marvel heroes in a way that there’s really a character for everyone. The feature is primarily aimed at younger audiences with a strong message of being yourself, friendship, and teamwork, while at the same time not being extremely preachy. Powered teens Ms. Marvel, Squirrel Girl, Quake, Patriot, America Chavez, and Inferno join forces as an unlikely, but formidable crew of aspiring heroes. When a threat no one could have expected bears down on the Marvel Universe, this ragtag, untrained band of teens have no choice but to rise together and prove to the world that sometimes the difference between a “hero” and “misfit” is just in the name. Live-action Marvel actors including Chloe Bennet (Marvel’s Agents of S.H.I.E.L.D.) and Milana Vayntrub (New Warriors) play their live-action roles in animation, and joining them are names such as Kathreen Khavari, Cierra Ramirez, Tyler Posey, Ming-Na Wen (not playing Agent May), and Booboo Stewart. You can see some photos from the first animated movie below.